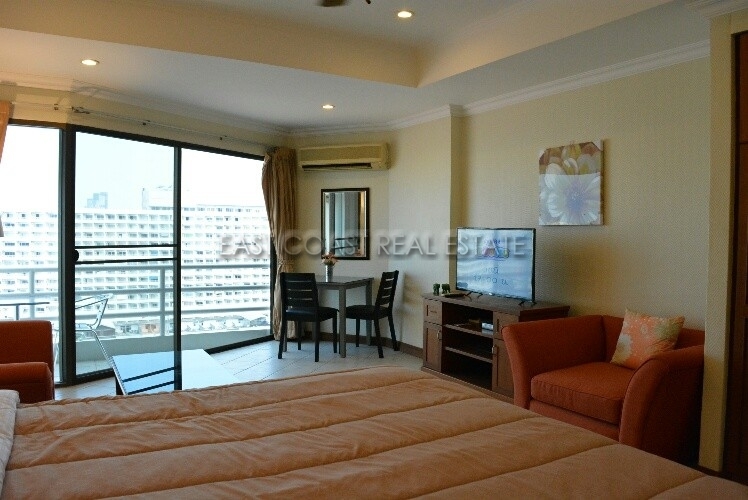 This affordable studio is located on 16th floor at View Talay 2, building B. 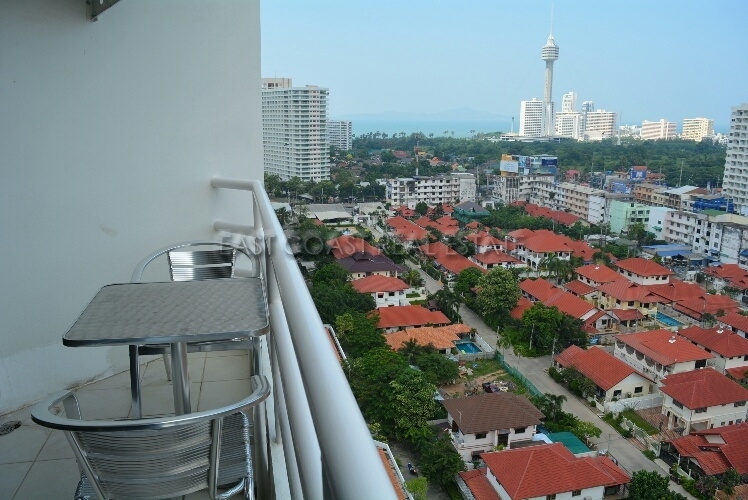 Offering Pattaya City and sea views from the balcony. 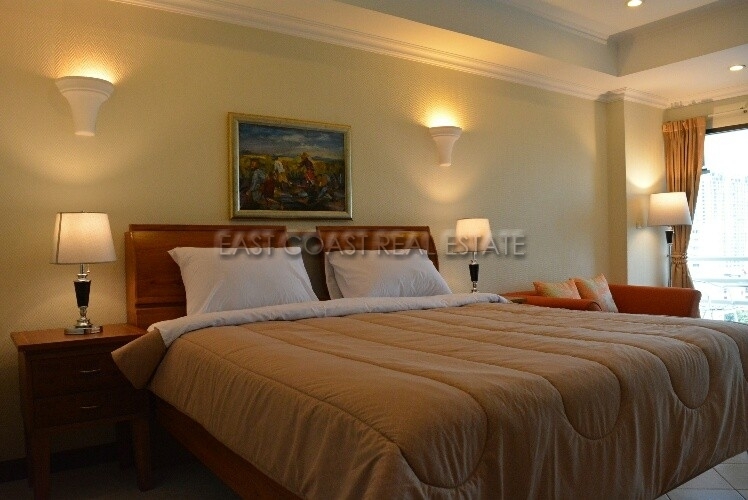 It comes fully furnished with everything you may need. 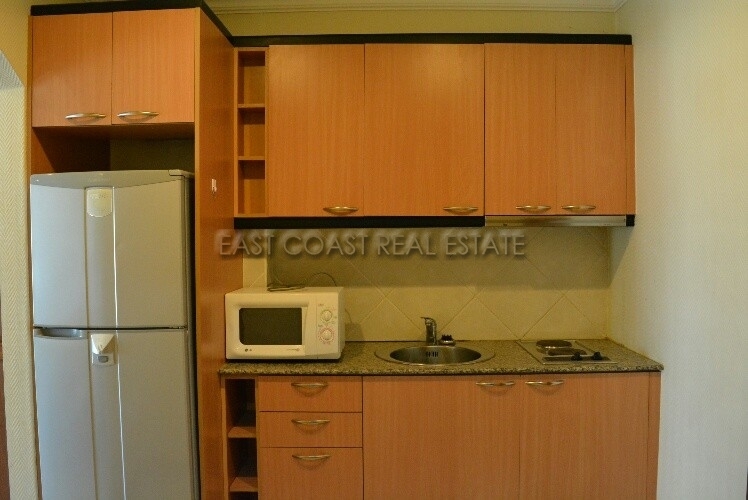 Built-in European kitchen with electric hob & hood, refrigerator, microwave and all kitchenware. 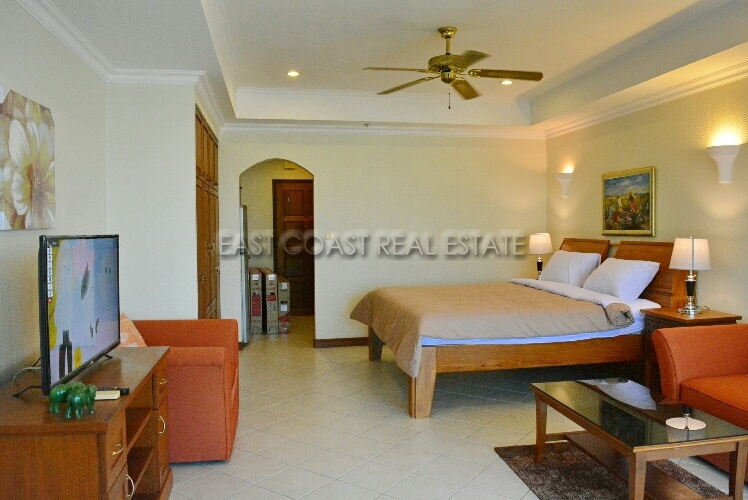 Good sized living space with king sized bed, big fitted closet, dining table, sofa and flat screen TV with free local cable TV. 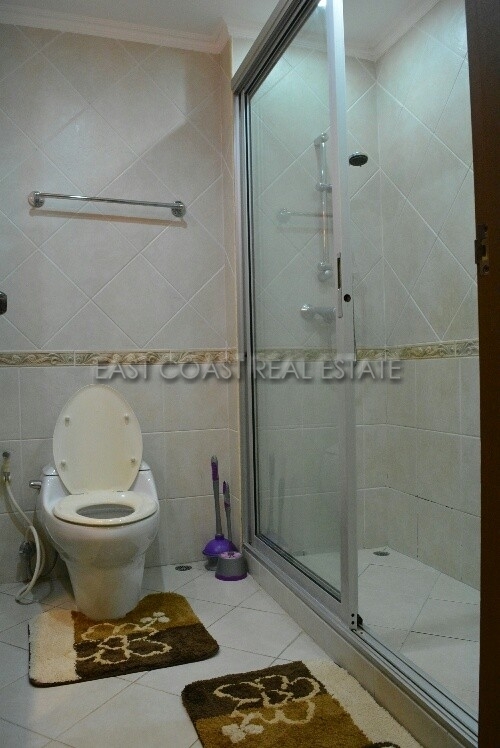 Fitted bathroom with hot water shower. 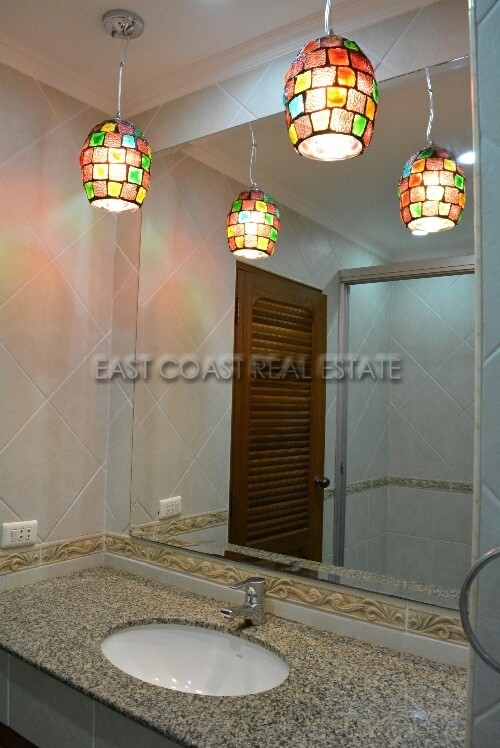 Air-conditioning through and ceiling fan. 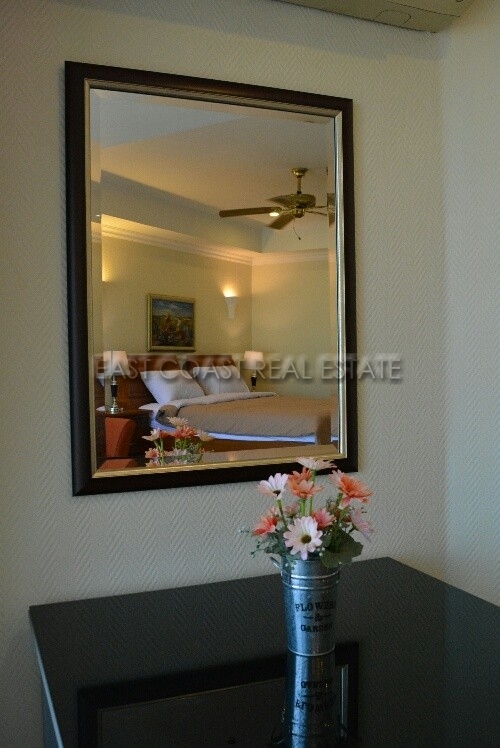 This project is located in Jomtien and conveniently located on the main taxi route. 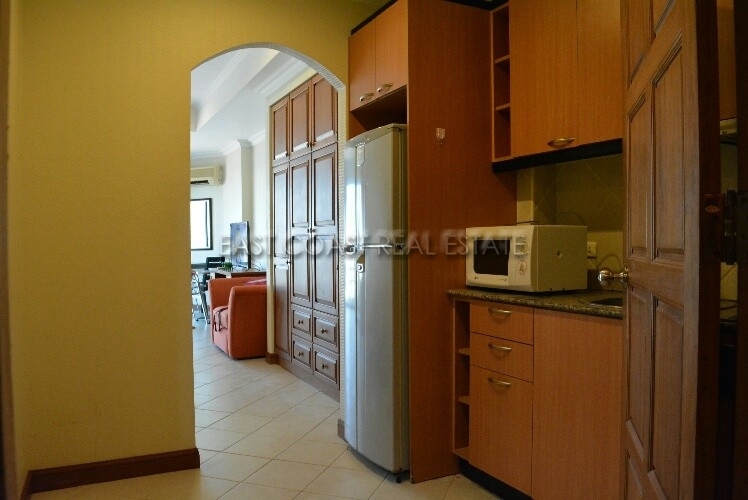 Within walking distance to Jomtien Beach. The building provides 24hr security guards with key card system, large communal swimming pool, restaurants, shops, mini mart, laundry shop, office management and etc. 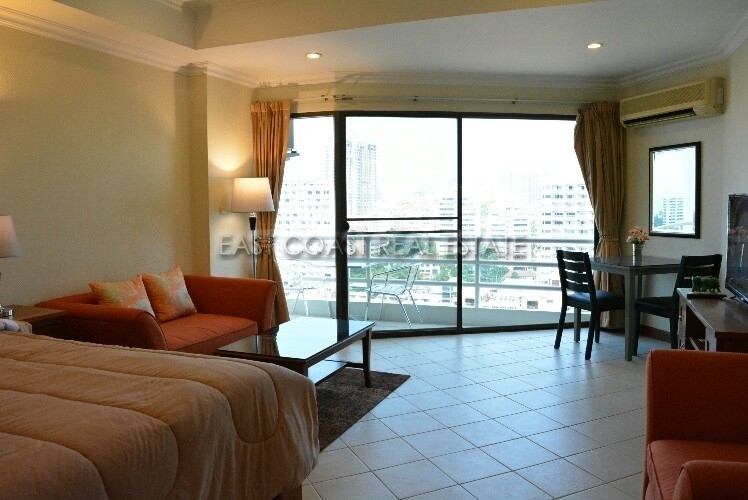 The building has WIFI internet connection available at the tenant expenses. Available for minimum 12 month contract with 2 month holding deposit.